The Kaduna State High Court has adjourned sine dine the trial of the embattled leader of Islamic Movement in Nigeria, Ibrahim El-Zakzaky, and his wife, Zeenat. The adjournment followed the appointment of the trial judge, Justice Gideon Kudafa, as a member of the Election Petition Tribunal in Yobe State. 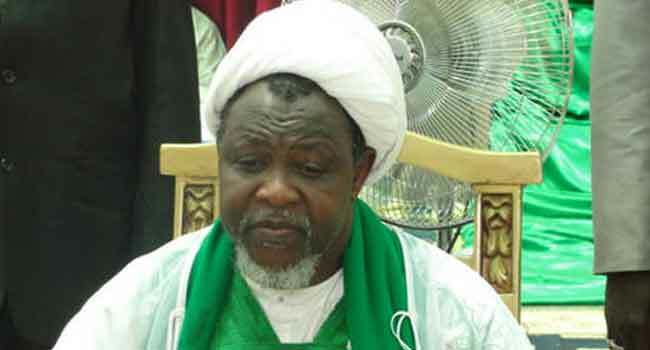 El-Zakzaky and his wife were not in court during Monday’s proceedings, although his counsel, Femi Falana, claimed that their absence was due to their deteriorated health conditions. The prosecuting counsel, Daris Bayero, on his part explained that their absence was due to the posting of the presiding judge for Election Petition Tribunal assignment outside the state. He had been denied bail by the presiding judge, Justice Gideon Kurada, during the last sitting on January 22, 2018. In the application for bail filed by El Zakzaky’s lawyer, Femi Falana, on his behalf at the last sitting, the legal practitioner prayed the court to give a mandatory order for his client and his wife to be flown abroad. He argued that El Zakzaky had in January 2018 suffered stroke in detention and since the reported attack by the soldiers three years ago, he has not been allowed to optimally access good healthcare. While adjourning the case, Justice Kurada said the court cannot accede to the request of the defendant to travel abroad for medical treatment. He, however, ordered that El Zakzaky should be allowed by the government to bring doctors of his choice to examine him in the presence of doctors from the government before the date of the next sitting. The judge had also ordered that the Shiites leader and his wife be remanded in the custody of the Department of State Security Service (DSS) throughout the period of their trial.